This is a herbal spell pouch recipe is designed to increase your psychic ability. I believe we all have inherent psychic abilities, it may be more apparent in others, but I believe that we all have that gift. When trying to achieve goals like telekinesis, hydrokinesis, energy manipulation, lucid dreaming, remote viewing or any of goals with the mind it takes dedication to learn all you can and willingness to practice and try. There are plenty of steps you can take on your own to enhance your psychic abilities. Meditation is one that you can do freely. It is my personal belief that mediation enhances our magickal abilities through learning to calm and focus the mind. 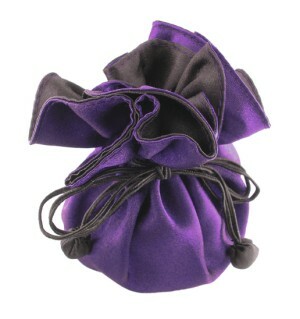 This herbal pouch will help you to gain psychic sight. 5 or more of the following herbs; mugwort, passion flower, yarrow, lavender, honeysuckle, cinnamon, lemongrass, peppermint, celery (dried). While repeating the chant visualize a light brighter than the sun, a completely white light, surrounding you and building in your hand. When the light becomes bigger than you had can contain, imagine the light shooting into the herbs infusing them with light. Imagine the light surround you and the herbs. Gather the herbs and place them into your velvet pouch. If you can tie the pouch to a white ribbon do so and make a necklace of the pouch. Sleep with the pouch every night and wear the pouch doing divination spells or rituals.